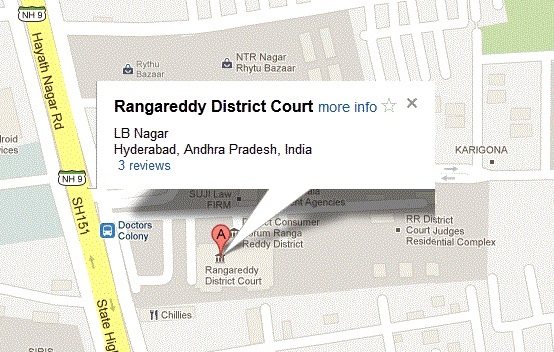 The location of the office situated : District Court’s Complex, Ranga Reddy District, L.B.Nagar. For purchasing books, periodicals and law reports for building up-to-date library for the benefits of the members of the Association. For inviting persons to deliver, address or read any paper or lead a debate on any subject relating to the study or practice of law. The administration of justice or any legislative measure. For taking necessary steps to solve the various problems of the members of the Association arising in the practice of law of legal profession. For arranging social cultural programmes and also games and sports for the benefit of the members of the Association. For arranging excursions and picnics for the members of the Association. For taking necessary steps for the welfare of the members of the Bar. For regulating and co-ordinating the activities of the members of Bar Association as to uphold the dignity and high traditions of it. We, the undersigned hereby declare that we are desirous of getting the Society Registered, under the Public Societies Registration Act, 1850 F.
The Association means the Bar Association, District Court, Ranga Reddy District. “MEMBERS” means a person who is entered on the rolls of the Association as such. “ROLL” means a roll of Advocates prepared and maintained under these rules. “THE GENERAL BODY” means the body consisting of all the members of the Association. “THE EXECUTIVE BODY” means the body consisting body constituted under the rules and to whom by these rules the management of the Association is entrusted. The Association shall consist of the Members who shall be advocates practicing in the Courts of Ranga Reddy District. Every application from membership of the Association shall be made in the form prescribed and signed by the applicant. Such application forms shall be accompanied by the fee prescribed hereinafter. The power to admit members to the Association shall vest initially in the Secretary, subject to the confirmation of the Executive. On such admission the applicant shall be entered on the rolls of the Association and he shall be a member. Every members shall pay an entrance fee of not less than Rs.100/- (Rupees One Hundred Only) in lump sum along with the application for membership of the Association. Every member of the Association shall pay a monthly subscription of not less than Rs.5/- (Rupees Five Only) or Rs.60/- (Rupees Sixty Only) per annum if paid in lump sum in advance. The monthly subscription shall be paid in advance before the 15th of every month: however, the subscription for May and June may be paid before the end of June. Any member who is in arrears of his subscription for three months shall not be entitled to use the Association Library and its premises nor shall be entitled to vote at the meetings of the Association. Any member in arrears of subscription for a period of 12 months shall stand suspended from the membership without notice to him. Such suspended member can get revive his membership on payment of entire arrears amount till such date in lumpsum. Further such suspended member is not entitled to any of the rights and privileges of a member in all aspects including the participation of meetings and voting rights not only in the general body meeting but also while in the elections of the executive body. And suspended member will not be entitled to become a life member unless and until he pays the entire arrears due to the association. Save as provided in Rule-9 no such member shall be removed from the membership of the Association for any other cause except by a resolution passed by two thirds of the members of the Association present and voting at an extra ordinary meeting called for this purpose provided that the number of members attending the meeting is not less than 50. The Executive Body may, admit any advocate as life member of the Association who pays not less than Rs.1500/- (Rupees One Thousand Five Hundred Only) in lump sum towards subscription. The funds of the Association should be kept for the attainment of the objects and no portion thereof shall be paid or transferred directly or indirectly to any of its members through any means. The Executive Body shall, through the Secretary, maintain a roll of the members of the Association in a Register of prescribed format. To consider the report of the Executive Body on the working of the Association for the previous year ending with Not later than second week of April, and adopt the same. To consider the report of the Auditor on the accounts of the Association. To consider any other subject that may be brought forward by any member, of which not less than 7 days notice shall have been given to the Secretary. The Executive Body may, of its own motion, and shall at the written request of not less than (50) members, convene an extraordinary meeting of the Association for considering any specified subject. The President shall preside at all meetings and in his absence the Vice President shall preside. In the absence of the President and the Vice President, the members present shall elect a chairman for such meeting. The quorum for all General Body meetings of the Association shall be 50. In all matters, the decisions of the majority of the members personally present shall prevail and in case of equality of votes, the President or the Chairman shall have a casting vote. The Executive Body may at any time convene meeting at which a person specially invited by the Association for the purpose, may deliver and address or read a paper or lead a debate on any subject relating to the study of practice of law, the administration of justice or any legislative measure. The proceedings of every meeting shall be recorded in book to be kept for the purpose by the Secretary and signed by the President or Chairman of the meeting. The President, Vice-Presidents, Secretary, Joint Secretaries, Sports and Cultural Secretary, The Librarian, Treasurer, shall be the office bearers of the Executive. The president, vice president, secretary, joint secretary, the librarian, treasurer and other members of the Managing Committee shall be elected by a simple majority and shall hold office for a period of two years or and the elections to the executive body shall be held on Friday of April month. The election for the purpose of electing the office bearers and members of the Executive Committee shall be held in the manner prescribed, as stipulated in the above Rule-3. If any vacancy occurs among the office bearers of the Association or in the Executive Committee between two Annual General Body Meetings, the Executive Committee shall elect a member to fill up the vacancy until the next Annual General Body meeting. The elections of the members to the Executive Committee of the Association shall be by secret ballot in the manner hereinafter provided. The Secretary shall, fifteen days before the date fixed for election, publish a list of members entitled to vote at the election. The list shall include the names of all the members of the association who are on rolls of the association who are eligible to cast vote. A member eligible means a member who completes one year as a member on the rolls of the association as on the date of election notification. A suspended member acquires eligibility to cast vote provided he/she pays the entire arrears due to the association one month prior to the notification of election schedule. Contestants for all the posts shall be eligible voter as stated supra. For the post of Vice-President’s the standing of the contestants shall not be less than 12 years as an Advocate. For the post of the Secretary the standing of the contestant shall not be less than 10 years as an Advocate. For the post of the Joint Secretaries, Treasurer, Librarian and Sports and Cultural Secretary the standing of the contestants shall not be less than 7 years as an Advocate. For the post of the executive members, the standing of the contestants shall not be less than 3 years as an Advocate. The Executive Committee shall appoint a Returning Officer for the purpose of conducting the election whose function will be acceptance or rejection of nomination papers: to scrutinize the nomination papers and to count the votes, as per rules herein provided. Nomination of persons shall be filed before the Returning Officer in the office of the Association, in the prescribed form during the court hours on the dates fixed for the submissions of nomination paper. A nomination paper shall be duly proposed, seconded and signed by two members respectively whose names are included in the list aforesaid. All nomination papers shall contain a statement by the person nominated, to the effect that he or she has agreed to serve in the office, if elected. A list of persons validly nominated for the various offices shall be published by the Returning Officer on the notice board of the Association on the day following the last day for filing of nomination papers. Any person whose name is nominated for election may indicate in writing his withdrawal from the election by notifying the same to the Returning Officer on or before the date fixed for withdrawal. The Returning Officer shall make the scrutiny on the date fixed in this behalf and shall endorse on each nomination paper accepting or rejecting the same by recording the reasons for such rejection and his decision shall be final. The nomination of two persons by the same members for the same officer shall not invalidate the nomination, but the Returning Officer shall on the date fixed for scrutiny accept the nomination first in point of time and reject the letters. The Returning Officer shall after scrutiny prepares a list of validly nominated candidates, that is to say, candidates whose nomination have been found valid, and affix the same on the Notice Board of the Board Association. No person who has given a notice of withdrawal under Clause 8, shall be allowed to revoke the said withdrawal. If the number of contesting candidates is more than the number of offices to be filled a poll shall be taken on the day and time fixed for elections. If the number of such candidates is equal to the number of offices to be filled, the Returning Officer shall forthwith declare all such candidates to be duly elected to office or offices. Ballet papers containing the names of candidates shall be printed or typed and they shall be signed by the Returning Officer and distributed to the members entitled to vote on the date of the election on their signing the Register kept for the purpose. On receiving the ballet paper the member shall then and there vote and lodge the same in the sealed box or boxes kept with the Returning Officer for the purposes at the office of the Association. After the time fixed for election is over, the votes shall be counted by the Returning Officer and after the completion of counting of the votes, the Returning Officer shall forthwith declare the result of election by getting the list of the elected candidates on the notice board of the Association under his signature. In the event of the votes of candidates in respect of any election being found equal, the Returning Officer shall forthwith decide between those candidates by lot and proceed as if the candidate on whom the lot falls had received an additional vote. The decision of the Returning Officer in all matters pertaining to the election and declaration of result shall be final. To purchase books for the Association Library and to subscribe for periodicals. 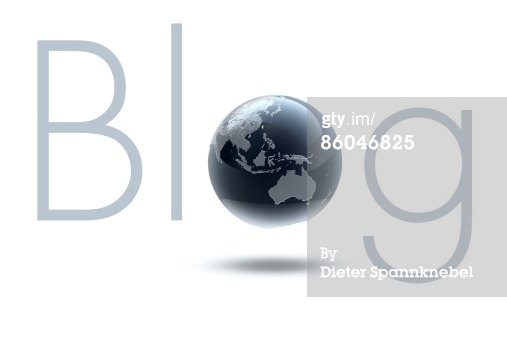 To publish books, addresses or papers relating to law. To sanction the scale of establishment from time to time. To pass bye-laws not inconsistent with the rules of the Association. In general and without prejudice to any of the rules herein contained, the Executive shall have power to direct the affairs of the Association and act on behalf of the Association. The Executive shall meet at least once in a month, but special meetings of the Executive may be convened by the President or Secretary in consultation with the President and shall be convened on the written request of not less than six members of the Executive for any specified purpose. The quorum of all meetings of the Executive shall be six (6). In all matters, the decision of the majority prevail, and in case of an equality of votes, the President shall have a second or casting vote. A Minutes Book shall be maintained by the Secretary in which the proceedings of the Executive shall be recorded and the same shall be read and confirmed at the next meeting of the Executive. If any member of the executive committee other than the President tenders resignation to the post shall be accepted by the President. Incase the President tenders resignation the same shall be placed before the executive committee and the executive committee has to take decision. To address the meetings and make a reference before District & Sessions Judge, and Addl. District & Sessions Judge, any other judge of the District Court, or the High Court or invitees on behalf of the Association and when necessary. To incur expenditure upto Rs.1000/- per month without the sanction of the Executive Committee. To take appropriate decisions regarding the proper administration of the affairs of the association in consultation with the office bearers. The President shall have discretionary powers in all matters not specially provided for in these rules, bye-laws, if any, passed by the Executive. In the absence of the president, the vice president shall have the powers and shall perform all the duties of the president. At the place of Vice-President --- The Vice-President No.1 and in his absence Vice-President No.2. The Vice-President No.1 means Senior Member at the Bar of the 2 Vice-Presidents. The Secretary shall be responsible to maintain the records, books and all other property of the Association. The Secretary shall maintain the registers and books mentioned in Rule 40(3) infra and such other records as may be necessary. All correspondence for and on behalf of the Association shall be carried on by the Secretary. The meetings of the Executive, General Body, Ordinary or Extraordinary meetings shall be convened by the Secretary, in consultation with the President. The Secretary shall be responsible for the collection of all amounts due to the Association by way of subscription, admission fee or otherwise. The Secretary shall cause the accounts of the Association to be audited by an auditor appointed at the meeting of the Executive called for that purpose. The Secretary shall open a current account with a scheduled bank in the name of the Association to be operated as per Rule-37(3) infra. The Secretary shall maintain the Minutes Book of every meeting of the Association and submit the same for confirmation at the following meeting. The Secretary shall prepare and submit after the approval of the Executive, the annual report before this annual general body meeting together with statement of accounts duly audited by the auditor appointed by the Executive. The Secretary may institute suits or proceedings or defend the game in his name and under his signatures, on behalf of the Association, with the sanction of the Executive. The Secretary shall be in over all charge of the working of the Association. The Secretary shall act in accordance with the directions of the Executive and carry into effect all the resolutions of the Association. The Secretary in consultation with the President shall have power to employ from time to time such servants as may be required for the Association and its library and to control and dismiss them. In case suspension or dismissal and appeal shall lie to the Executive. Without prejudice to the foregoing provisions the Secretary shall have power to do all that is necessary for and on behalf of the Association. To incur expenditure upto Rs.500/- per month without the sanction of the Executive. The Joint Secretary who is the senior member at the Bar of the two joint secretaries (is to be included) the lady joint secretary shall take care of all the issues pertaining to lady advocates in consultation with the executive committee. The treasurer shall be incharge of all the funds of the Association and shall be primarily responsible for the collection of all funds, subscriptions, admission fee and other sums due to the association. The treasurer shall maintain a regular account of income and expenditure as per Rule 41(2) infra and shall submit the same for audit by the auditor appointed by the Executive. The Bank Account of the Association shall be operated under the Joint Signatures of the Secretary and Treasurer (is to be altered) as Joint Signature of the President, Secretary & Treasurer or any of the two. The librarian shall maintain the register as mentioned in Rule 40(4) and shall be incharge of all the books of the Association Library and the maintenance of the Library in general. The librarian shall carry out the directions and act in accordance with directions of the Executive. Sports and Cultural Secretary : The Sports and Cultural Secretary shall take steps for arranging social and cultural programmes along with games and sports to promote unity and harmonious relationship among the members of the Bar. Executive Members : The Executive Member shall act in accordance with the directions given by the office bearers of the executive committee. Every member shall be entitled to attend the General Body Meetings of the Association. Subject to Rules 8 & 25(3) every member of the Association shall be entitled to one oath in one meeting of the association. Every member of the association is entitled to admission into the association premises. Subject to Rule 8, and other rules and Bye-Laws every member shall have a right to use the Association Library so long as his name is on the Rolls of the Association. Every member shall adhere the conduct rules of the Bar Council of A.P. and always preserve, uphold and maintain the dignity, decorum of the Bar Association. Any violation shall attract the disciplinary action by the general body at the instance of the executive body. The following registers shall be maintained by the Association. A Register of Members of Association together with their date of enrolment and permanent address. A register of books lent to the members. The Librarian shall keep a complete catalogue of books of the Association corrected from time to time. The books maybe lent out to the members of the Association for use in Courts within the court buildings. The books taken out shall be returned before the close of the day on which they are issued. The books taken out shall not be taken to their houses by members of the Association. Any member not returning the books in accordance with the above rules shall not be entitled to have further books to him as long as he is in default and he shall not be entitled to use the library. The borrowing of books from the library shall be entered and signed by the borrowing members in a register kept for the purpose. On return of the books the same shall be acknowledged in the register. Any member who loses or damages any book shall make good the damage and any member who fails to return a book shall immediately pay its price as determined by the Librarian. The Librarian shall bring to the notice of the Executive any loss or damage caused or done by any member to the Library, the Executive may take such action in the matter as it may consider necessary. Bye-Laws made by the Executive shall be notified on the notice board of the Association as soon as they are made and shall be placed at the next general body meeting of the Association for information of the members and they shall have the same force as the rules of the Association until rescinded or modified by a resolution of the Association. The Association may either at the Annual General Body Meeting or at any extraordinary meeting alter or re-appeal any of the rules of the Association or the Bye-laws made by the Executive. No amendment or alteration shall be made in the Memo and Rules of the Association unless it is voted by 2/3rd members present at a general body meeting convened for the purpose. The Bar Association of the District Court, Ranga Reddy District shall sue and be sued represented by its Secretary. Documents required by the executed by the Association shall be signed by the Secretary and shall be sealed with seal of the Association. Any question regarding professional etiquette or any complaint against any advocate or pleader which any member may desire to refer or make, shall be referred or made by him to the President, through the Secretary, and the President, or in his absence, the Secretary shall place the communication before the Executive at its next meeting. The Executive shall thereupon take such steps which may be necessary in the matter. It shall be open to the Executive to refer such complaints to the Bar Council of the State for taking necessary proceedings in that regard. The Executive may, in any case of complaint against any advocate or pleader effecting his professional conduct that is the subject of investigation by the Bar Council assist such advocate or pleader in any manner it thinks fit, provided the Executive on enquiry is satisfied that such complaint is not well founded. Notice of the meeting of the General Body of the Association shall be deemed sufficient under the rules is affixed on the notice board of the Association seven days before the day fixed for the meeting. All proceedings commended and any thing done, including the elections, held under the provisions of these Rules and Regulations and shall continue to be in force accordingly, unless and until superseded by anything done or any action taken under these rules. The President’s of all Muffsil Bar Associations of Ranga Reddy District shall be the permanent invitees to all the activities of District Bar Association. In case the Association has to be wound up, the property and funds of the Association that will remain after full satisfaction of the liabilities of the Association will be transferred or paid to some other society with similar aims and objects.